Ex-president Cristina Kirchner has been called back to court for a second time in Argentina's largest corruption case following a search of her homes last week, her lawyer said Wednesday. Asked to confirm reports that she is to re-appear before anti-corruption judge Claudio Bonadio on Monday, her lawyer Gregorio Dalbon said "yes, it's true." Kirchner first went before Bonadio on August 13 as part of the investigation into the so-called "corruption notebooks" case. Prosecutors believe the 65-year-old senator was one of the main beneficiaries of tens of millions of dollars in bribes in return for public works contracts during her 2007-2015 presidency. Kirchner sought to downplay the summons on her Twitter account, saying there were more important problems facing the country, with the national currency in freefall. "The dollar is about to reach 35 pesos and Bonadio calls me in again," she wrote. She added that the judge's request was so predictable it was as if he was reading "from a manual." 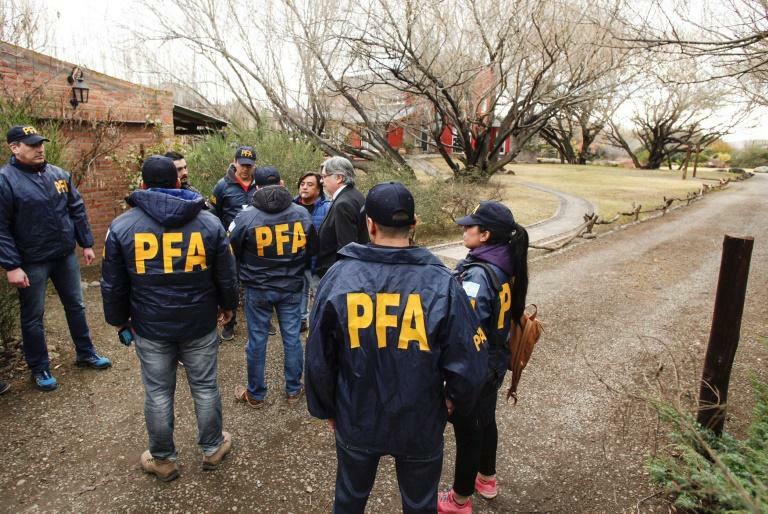 Police carried out searches of three of Kirchner's properties last week after the Senate voted to temporarily lift her immunity, following a request by Bonadio. According to Argentina's Judicial Information Center, Kirchner's recall is due to the investigation -- initially covering the period between 2008 and 2015 -- being extended as far back as 2003. At that point, she was First Lady in her husband Nestor Kirchner's presidency. She is the highest-ranking official being investigated in the corruption notebooks case, which has already ensnared dozens of former government officials and top businessmen. Nevertheless, Kirchner remains a hugely popular leader of the leftist opposition to President Mauricio Macri's center-right government, and claims her political opponents are trying to derail a possible run for the presidency next year.